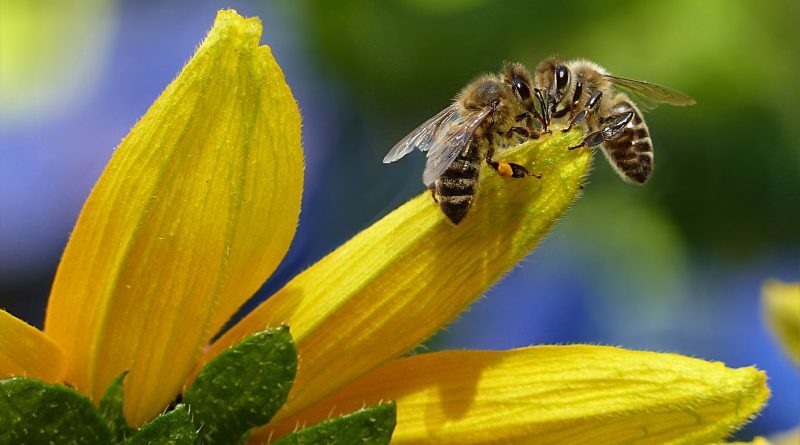 When spring comes, bees are busy forming a giant cluster and gathering pollen. The giant bee clusters are usually found in tree branches, attic, roof, and other high places. Bees infesting in the tree is often called as swarming. The activity can be frightening but does not always dangerous for human. In general, there are two types of bee swarms; however, the most common type that can be found in the neighborhood is the reproductive swarm. The reproductive swarm happens when the bees colony outgrow the hive or nest. Then, a new queen will be hatched and some working bees will be off flying together. These bees will cluster for some time and the cluster is usually found in tree branches or another high place in a form of a huge ball. Reproductive swarms are usually will not attack and quite docile. But a swarm consists of thousands of bees if it is located in a populated area, the bees can be trapped in people’s house, hair, sofa, clothing, and such thing. Even though they are not aggressive, but thousands of bees can be intimidating. The second type of bee swarm happens when an existing bee colony is threatened or disturbed. When they do not feel secure, the guard bees will directly attack anything that they see as a threat. Any type of bees, both European and Africanized bees colony will sting and attack if their hive is disturbed. The difference is Africanized bee is more aggressive and able to chase you further. A bee colony can build their hive in an unusual place such as walls, roof, attic, and even underground. It is indeed not a nice thing to have a bee colony near the house because the risk for bee attack is higher especially if you have children and pet around. If this kind of case happens, it is important not to disturb the hive. In addition, you also have to be very careful with noise because bees can get triggered by loud noise. When you have bee colony close the house, make sure not to spray pesticide to get rid of them. The best way to remove a beehive is to call a professional beekeeper for help. If you feel that the tree on which the hive needs to be removed, seek the help of a Tree Removal professional. What to do is you see bee swarms? When you see bee swarms in your area, the first thing to do is not to panic and do not disturb them. Reproductive bees are quite docile and they will move on in a day or two. If you think that it will be a threat for the children and pets, go ahead and call the fire department or 911. The fire departments will employ a gentle method in removing the bee swarm. Unless it is attacking people, the fire departments will not kill the bees. The best thing that you can do is stay away from the bee swarm and do not provoke them.